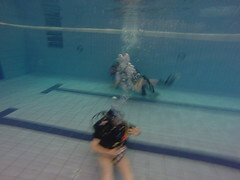 BS-AC also provides training that enables divers to become instructors. Training for instructor grades is through courses run outside the club and organised through the BS-AC. Courses and exams are organised on a regional level. A list of instructor training sessions can be found on the BSAC Ireland website here. It is important to contact the training officer before booking any instructor courses or exams. The first stage towards becoming an instructor is to take the Instructor Foundation Course (IFC). This requires that you are at least a sports diver. After the IFC, you can then take the Theory Instructor Exam (TIE) to become a Theory Instructor. This enables you to present lectures in the classroom. 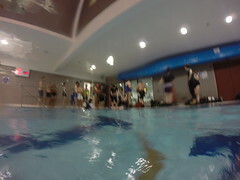 The next step is to take the Open Water Instructor Course (OWIC). This requires that you are at least a Dive Leader (and have done the IFC). 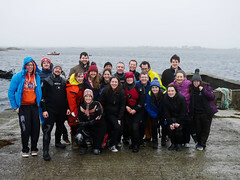 After the OWIC you are an assistant open water instructor. Once you have done the OWIC, you can take the Practical Instructor Exam (PIE) to become a Practical Instructor. This allows you to teach lessons in the water. Once you have passed both the practical (PIE) and theory (TIE) exams, you become an Open Water Instructor (OWI). To become an Advanced Instructor, you must be an Advanced Diver, Open Water Instructor, and have done the boathandling course. You can then take the Advanced Instructor course (AIC), and then the Advanced Instructor Exams. There are 2 exams – the theory exam, or ‘AIE(T)’, and the practical exam, or ‘AIE’. You can only take the practical exam after passing the theory exam. To become a National Instructor, you must be an advanced instructor and have passed the First Class Diver theory exam within the past two years. You can then take the National Instructor Examination (NIE).